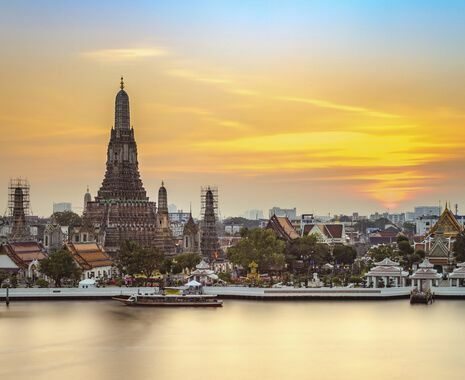 This 11-night itinerary begins in Thailand's busy capital of Bangkok, where your family can discover the countries cultural heritage and exotic cuisine. Head south to the Gulf of Thailand to spot rare pink dolphins, then onto the wild and scenic Khao Sok National Park. Explore the surrounding jungles, lake and rivers from two interesting accommodations: the jungle-based Anurak Community Lodge and the 500 Rai Resort Floating Bungalows on Cheow Lan Lake. 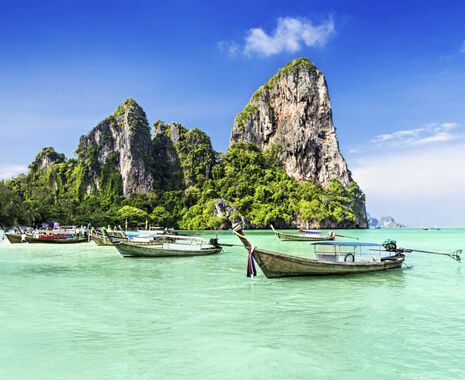 End on the beaches of Phuket, where you can relax by the sea, by the pool or go snorkelling and cycling.